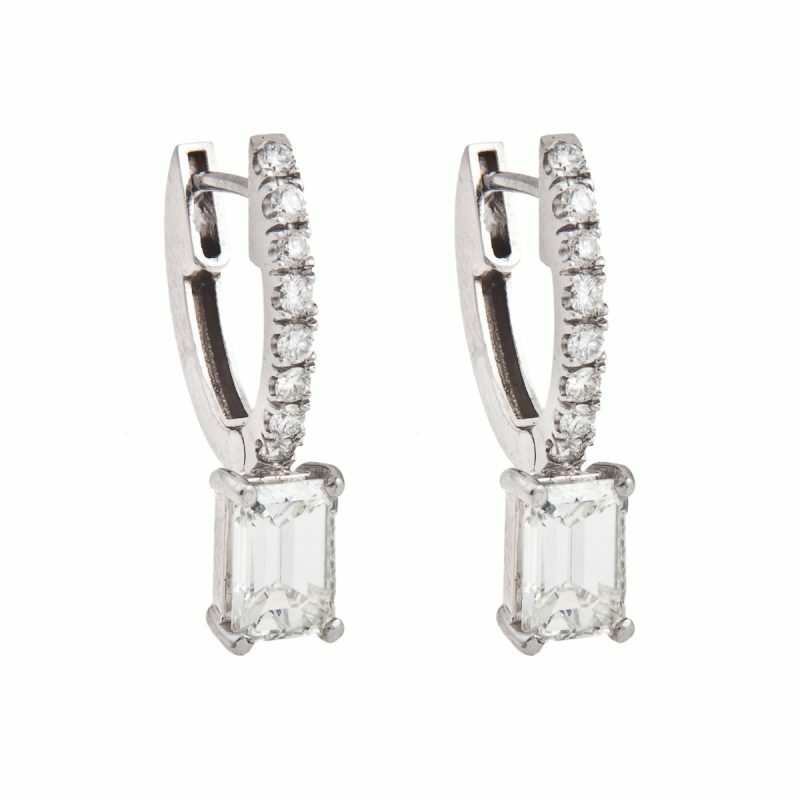 Elegant V- shaped diamond drop earrings set in 18ct white gold. 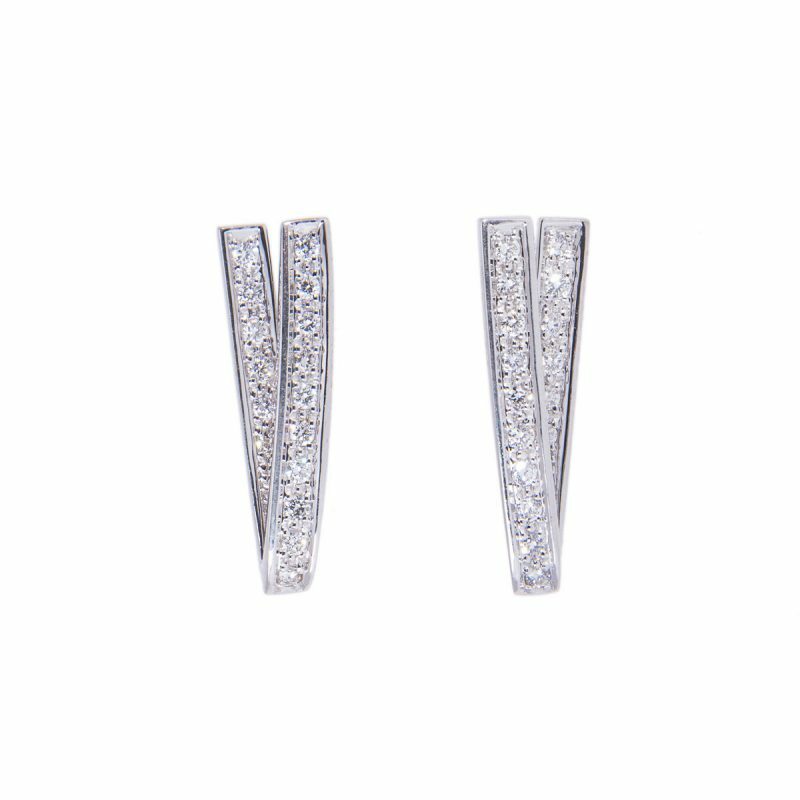 Create a glittering fashion statement with this pair of diamond drop earrings, each set with a single row of perfectly matched, brilliant cut diamonds, giving a glittering continuous line of diamonds that are securely held in a grain setting. 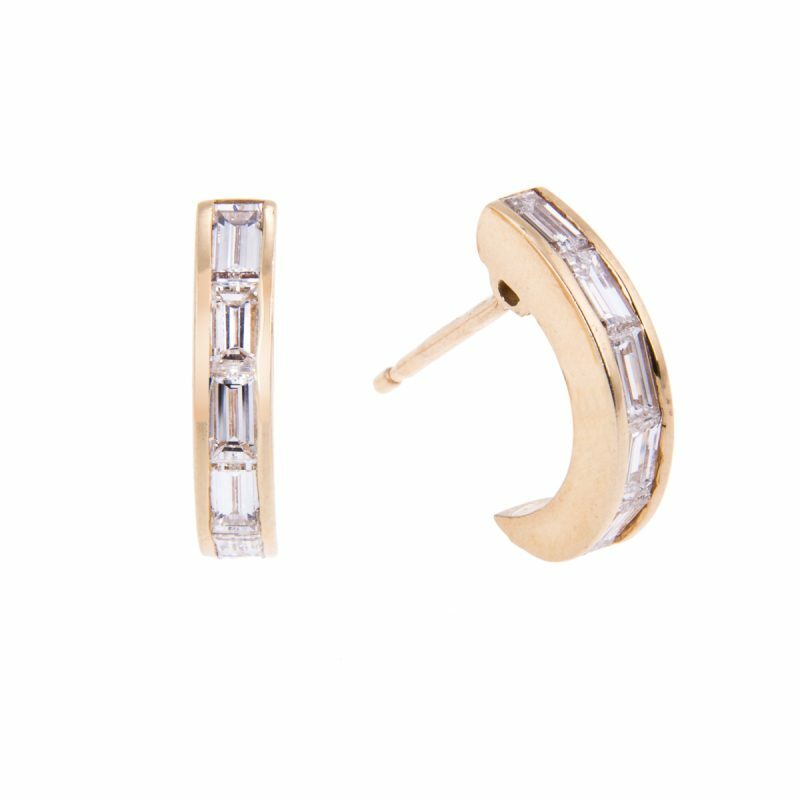 For you to create that red carpet glamour.